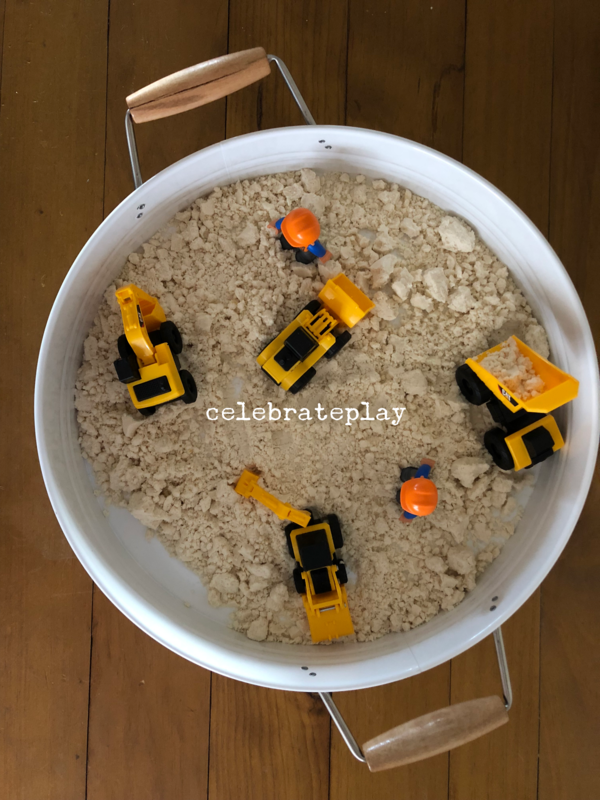 …so there are lots of you Mummas in our community on the hunt for some inviting and engaging toddler activities to add to your intentional play plan bank of goodies. We hear you!! 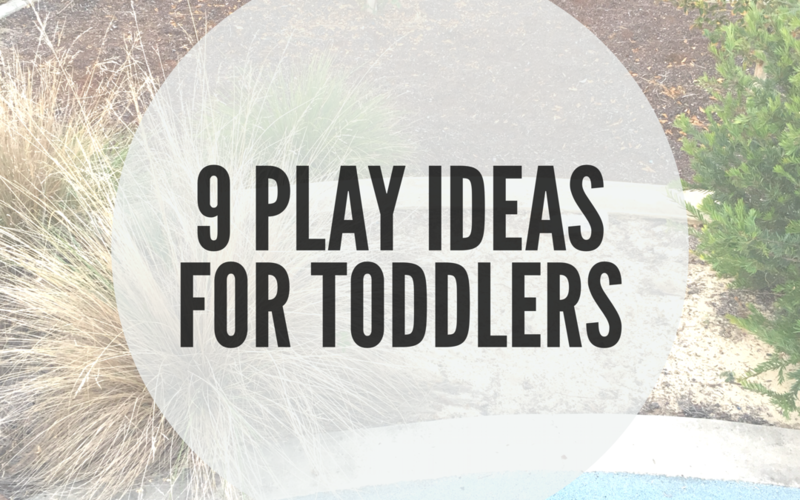 You’re after the simple yet meaningful kind of ideas that are super quick to set up but offer your little one lots of time to learn and play. 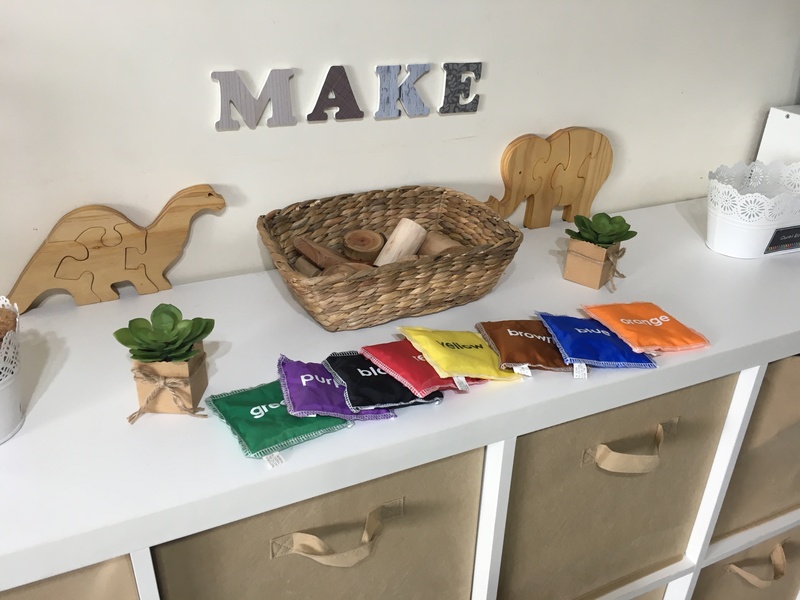 We have put together some of our most favourite, tried and tested ideas for you to give a whirl with your little learners. SCENTED CLOUD DOUGH – this was a resource that lasted us for several days when stored in an airtight container and we also used for a few different activities. Our most popular activity was this cloud dough construction zone. The recipe used to make the cloud dough was 4 parts of plain flour to 1 part of coconut oil and a few drops of DoTerra citrus oil blend. We popped in a few digger toys and scooped up the cloud dough. 2. 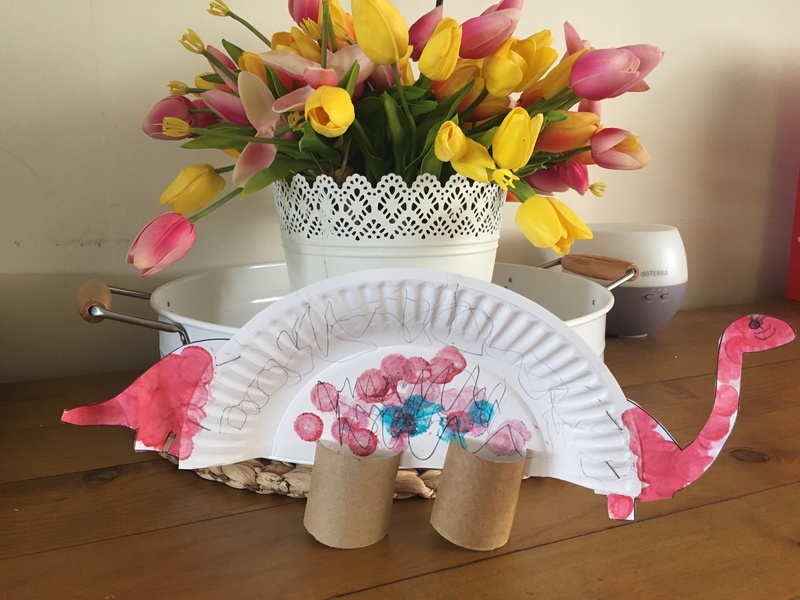 TAPE TRACK WITH VEHICLES – we recently purchased a tufftray and have put it to good use particularly when creating this small world road activity. Using Kmarts road tape, some building blocks and pasta, we have created a quarry. 3. PAINTERS – These Cleverpatch painters are a simple, mess free way to paint with a toddler. They are a series of mixed coloured squeezable tubes filled with paint and a padded end to regulate the amount of paint dispersed. Here we have created dinosaurs. 4. SENSORY TUBS – an all time favourite here at HQ. 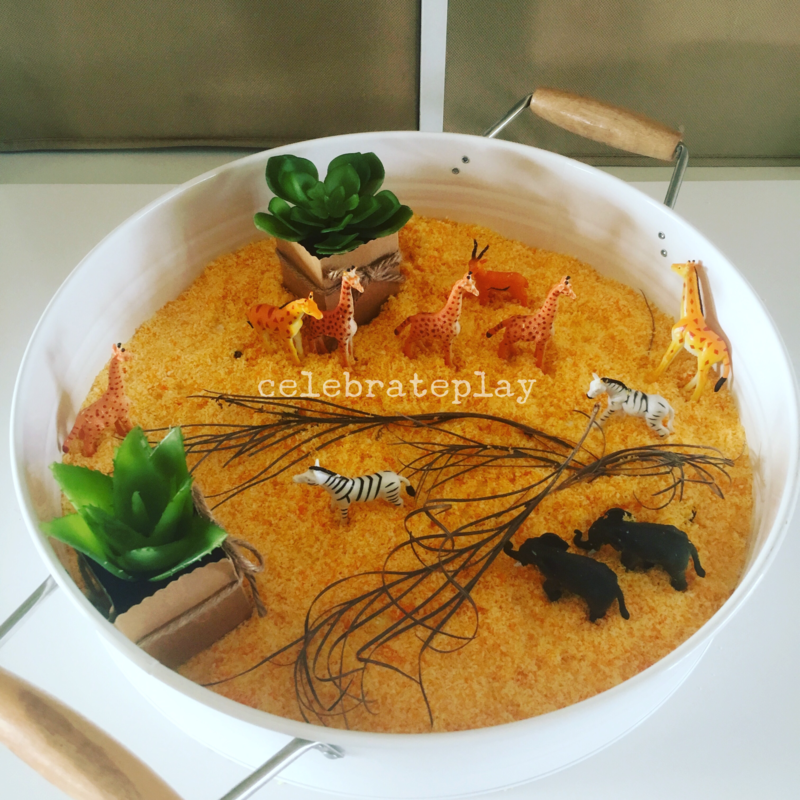 We recently created this construction zone with Borlotti beans from the soup aisle, cork bottle lids, fake grass, moss rocks, a felt piece lake and some digger toys. Some days later we added scoops and containers. 5. SMALL WORLD PLAY – is one that takes time, trial and error to develop. It is an activity that requires forethought and in the beginning some time to set up. Small worlds are familiar scenes created with miniature objects and figurines. Our favourite scenes are construction, farm, zoo, jungles and households. 6. DRESS UPS – provide your little ones with a series of dress up clothes and engage in some creative role play. If you get the chance, try to capture these moments on film as it is sure to create memories and a laugh in years to come. 7. BALLOONS – an oldie but a goodie. Blow up a few balloons and bounce away playing catch. 8. BEAN BAGS – there are loads of ways to use handheld size bean bags with your little ones. An all time classic is BEAN BAG BALANCE-put the bean bag on your head and move focusing on balance. 9. TEXTAS/MARKERS – we love a spot of colouring in and drawing here at HQ-nothing quite like colouring in to relax. Our favourite textas are Crayola Pipsqueaks…a great size for our toddlers to handle and lots of colour with each stroke. For the days you can, head outside to play and embrace the connection with nature. As always, ensure supervision is provided, as safety is a priority. New here? Welcome, it’s lovely to have you stop by. Want to learn more? Sign up to receive our monthly email straight to your inbox and enjoy the treat we have left you. Have a play experience you would love me to see,send it to me via our online support group or send me an email. 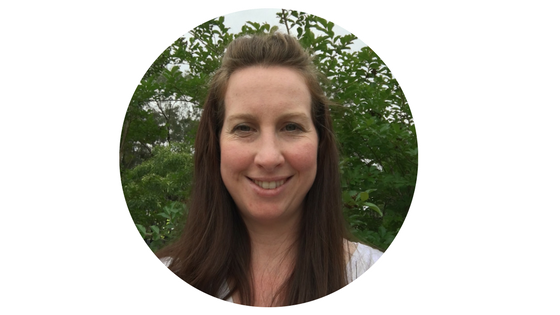 I love seeing what you have been creating!